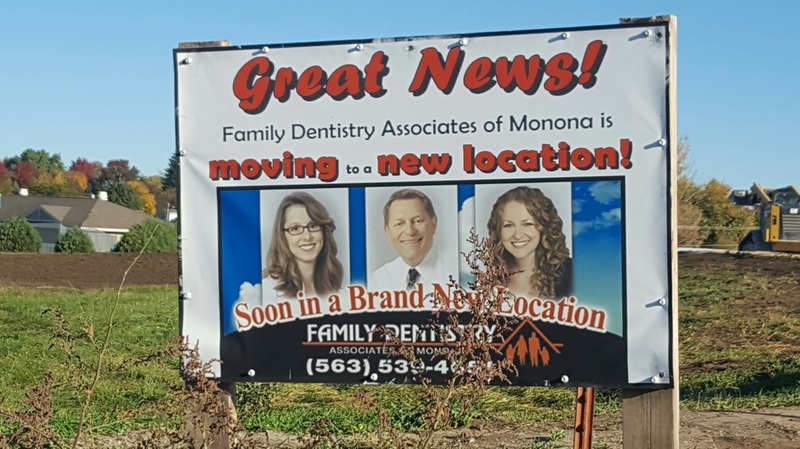 Ground Breaking of New Home of Family Dentistry Associates - Monona Chamber & Economic Development, Inc. Please contact Monona Chamber to tour FDA's medical office building at 101 Franklin St. located a block north of downtown & available to purchase / occupy Spring, 2017. The groundbreaking of Family Dentistry Associates took place in August, 2016 at its future site located east of Hwy. 18 / 52 at Davis St. Great when running errands, nearby are Fisk Farm & Home & Rental, Davis St. Auto Wash, Monona Aquatic Center, MFL MarMac CSD, and Monona Butterfly Gardens & Trails. The plan is to complete construction by March/April, 2017 and shortly thereafter open up for dental appointments.